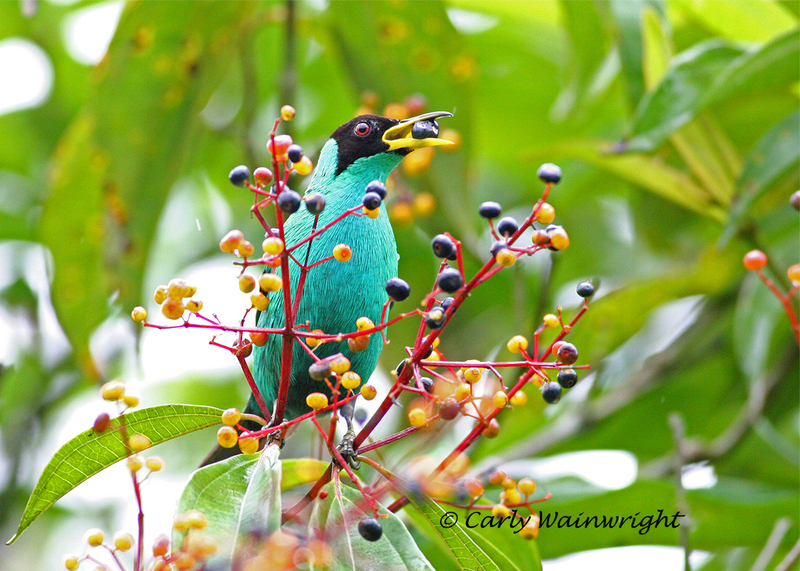 Get Ready for Our Fall Season - New Beginning Birder Field Trips - Costa Rica - EagleWatch! We are about to kick off our fall season in a few days! We have a great schedule of programs and field trips planned for you for our 2017-2018 season. We are excited to have some new birding opportunities for everyone, locally and abroad. This year Duval Audubon is leading monthly walks for novice birders at the Timucuan Ecological and Historic Preserve. Of course, experienced birders are welcome too! We will also host a trip to Costa Rica in March of next year. We hope that you will find the time to join us this season and learn more about birds and nature! We are an all-volunteer nonprofit organization and we are supported entirely by contributions. We need your help more than ever so that we can continue to offer excellent programs, field trips, educational outreach, and continuing improvements to our Crosby Sanctuary property in Orange Park. All of this is to achieve our mission: Connecting people with nature, conserving and restoring natural ecosystems, focusing on birds and other wildlife. Please consider making a donation to www.duvalaudubon.org today to help support our work. As we begin our season, we can always use volunteers. We can use help staffing our outreach table at events, trail maintenance at beautiful Crosby Sanctuary, leading or assisting with field trips, fundraising and Bald Eagle nest monitoring. Please contact me if you are interested in helping out with any of our volunteer opportunities. Speaking of volunteers, thanks to all of our volunteers for their many hours of dedication to counting and stewarding shorebirds, monitoring Eagle nests and working at Crosby Sanctuary. I would also like to acknowledge our volunteers who have participated in collecting data for the Breeding Bird Atlas. A notable change this year is our meeting place for programs. We will continue to have program meetings on the third Monday of the month, but this year we will meet in a great new location: Community Hospice at 4266 Sunbeam Rd, Jacksonville, Florida 32257. We will begin the evening at 6:30 pm with refreshments and meet-and-greet, and the program will start at 7:00 pm. I hope to see you soon at one of our activities! EagleWatch Training Workshop, Sept. 30, 2017 10 a.m.
On Saturday, September 30 the Audubon Center for Birds of Prey will conduct an EagleWatch training session at Deerwood Country Club. Program starts at 10:00 am. Pre-registration is required due to limited space. Find out where eagles live and nest in NE Florida. Volunteers can earn volunteer hours for school. Be a part of the expansion of Audubon EagleWatch on a statewide basis. For more information about EagleWatch visit fl.audubon.org/audubon-eaglewatch. Contact Ann Harwood-Nuss at a.harwoodnuss@comcast.net or Shawnlei Breeding at eaglewatch@audubon.org for more information. If you’ve always wanted to go birding in Costa Rica — or never taken a birding trip abroad at all — this program is a great introduction to the Neotropical birds of Central America. This trip will be booked through Holbrook Travel. Holbrook’s local birding guides are experts at identification by both sight and sound, and they’ll help ensure our group spots as many species as possible. Despite its small size, more than 900 types of birds have been recorded in the country. Combine that with its accessibility and its friendly people, and Costa Rica is a perfect destination for beginners and more advanced birders alike. Plus, you’ll discover fascinating wildlife like frogs, monkeys, bats, and sloths. • Take guided hikes in primary and secondary rainforest of the Sarapiqui Valley, which provides habitat to a number of bird species, including the endangered Great Green Macaw. • Get a different perspective of the rainforest from atop the 100-meter suspended walkway at Tirimbina Biological Reserve for the chance to see species that spend their time within the forest canopy. • Watch for species like the Ornate Hawk-Eagle, Crested Guan, and Spectacled Owl at the world-renowned La Selva Biological Station. • Search for the highly sought-after Resplendent Quetzal in the cloud forests of San Gerardo de Dota. Cost is based on double occupancy; for a single room throughout the trip add $200 per person. A $200 per person deposit and enrollment form are required to reserve your space on the trip no later than November 23, 2017. This deposit is refundable excluding a $100 cancellation fee until December 18, 2017, at which time non-refundable final payment is due. Travel/trip cancellation insurance is strongly recommended. Click here for a direct link to the Holbrook Travel website about our trip or for a trip itinerary, click here. September Program, September 18, 2017, 6:30 p.m.
Come hear Chris as he examines Florida’s wading birds, their unique environment, and the art they’ve inspired through time. This is the time of year when we get to experience fall migration. We hope to see you at some of our field trips.